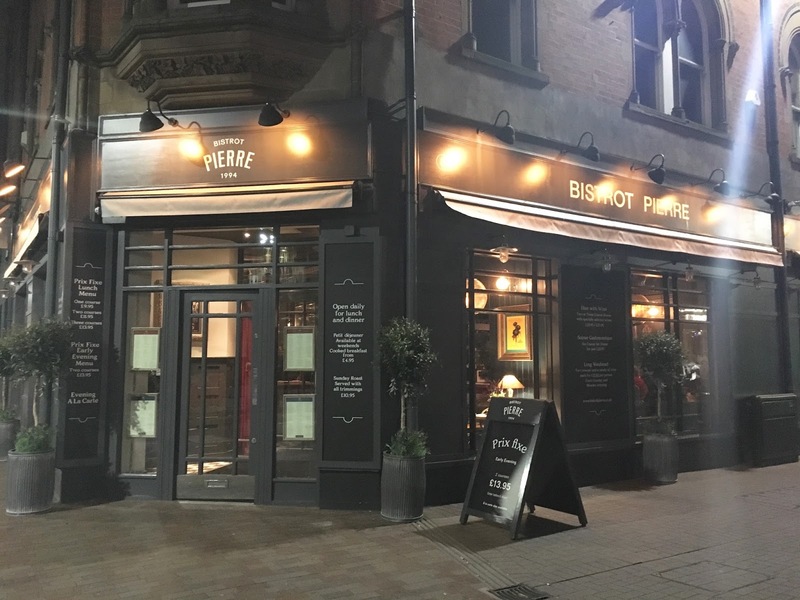 Bistrot Pierre in Leicester have recently undergone a refurbishment and I was kindly invited along to sample the menu and checkout the new look. 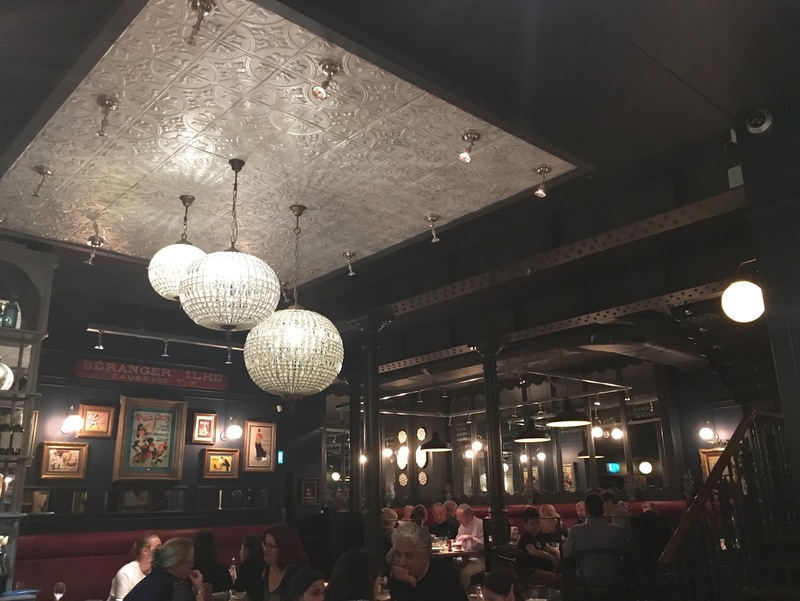 We've actually dined at Bistrot Pierre a few times in the past and it's one of my favourite restaurants in Leicester so I was excited to go and see what they'd done with the place. Whilst the outside of the building has been given a slightly more modern feel, the victorian building it's located in still gives it that authentic french vibe. The interior has been updated with classic reds and bluey/greys, dark wood and beautiful lighting. I personally love all the dark wood and low lighting and it reminds me so much of a bistrot Nick and I ate at in Paris some years ago. 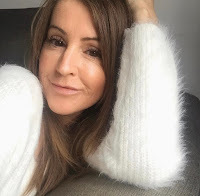 The restaurant offers a relaxed but vibrant, buzzing atmosphere, it's always busy and I love that the place just comes alive with all the chatter going on around you. 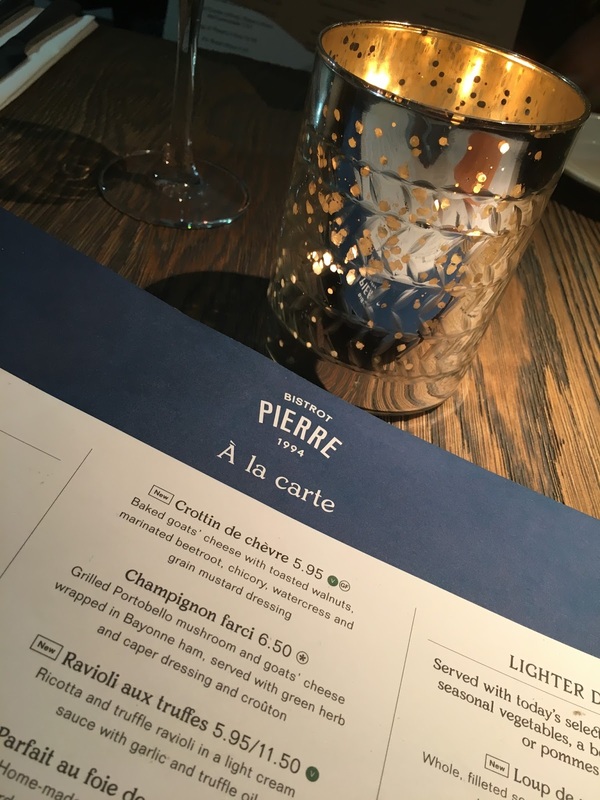 Bistrot Pierre combine french classics with regional favourites, prepared by chefs daily using carefully sourced ingredients from local producers and artisan French producers and suppliers. 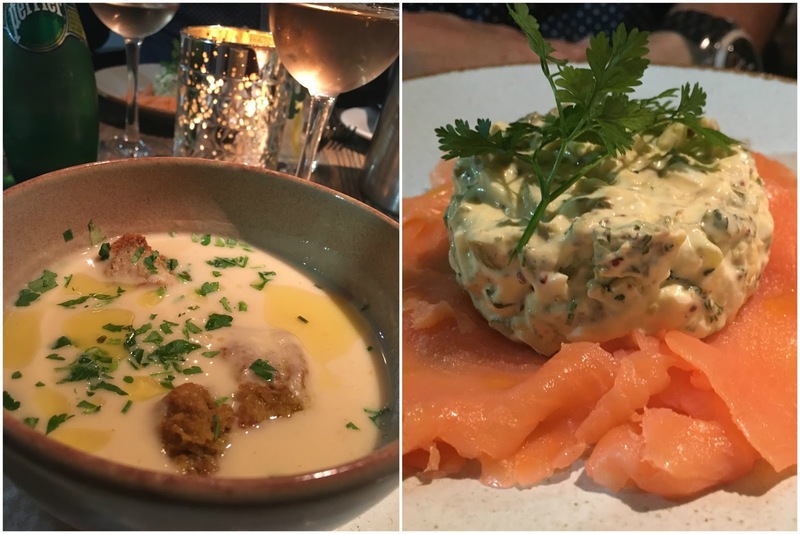 The menu choices are excellent, with À la carte, their Soirée gastronomique (a six course set dinner on certain days of the week) and fixed price menus. They have something for everyone, including gluten free options and children's menu. We opted for the À la carte menu. 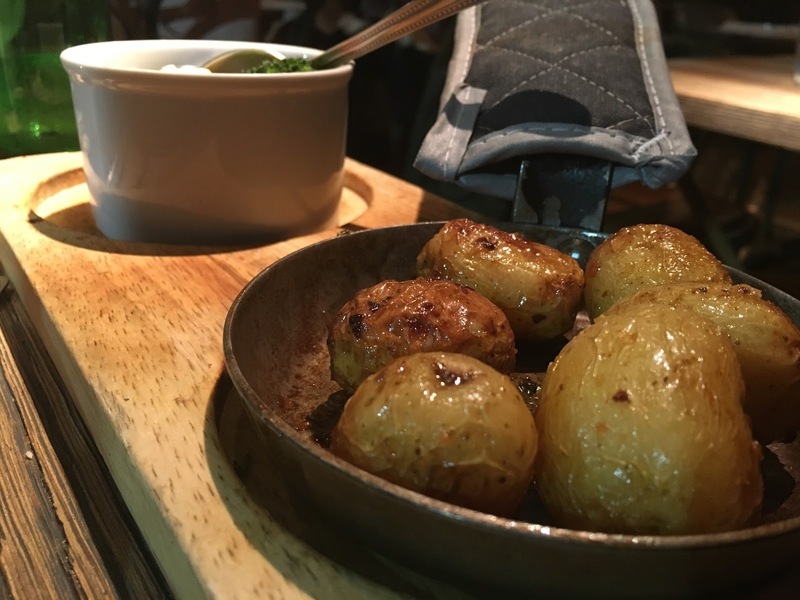 All the old favourites are still there but they've added in some exciting new dishes too. For starters I opted for the soup of the day which was cauliflower and Nick went for the smoked salmon. Whilst the soup was delicious it wasn't terribly hot, and you know how I like my food hot! When I ordered the soup the waitress wasn't sure if there was any left, well, there obviously was, but just a small bit left at the bottom of the pot, and that's why I'm guessing it was 'just warm' and not hot. I ate it and I did enjoy it. The smoked salmon was served with a traditional mayonnaise of chopped eggs, capers, cornichons and herbs and Nick thoroughly enjoyed it. The starters were served with freshly baked bread and butter. The perfect accompaniment to my soup. 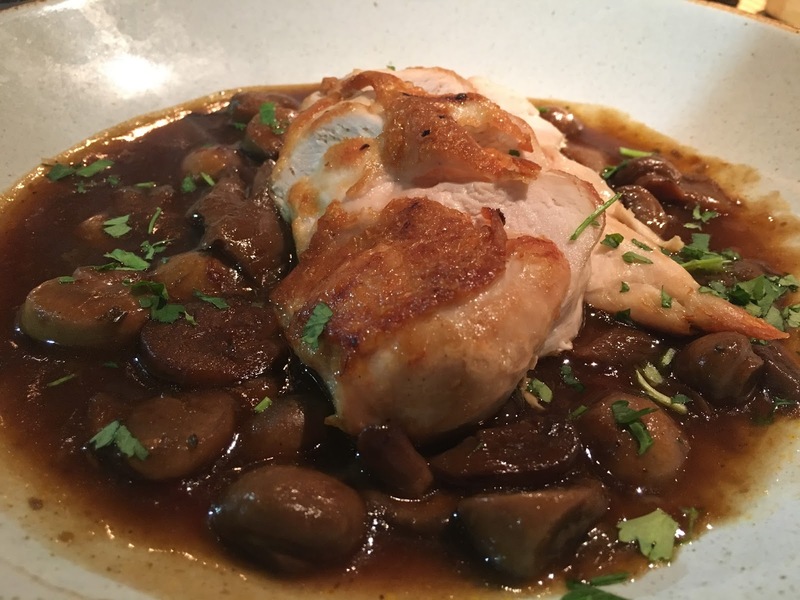 For my main dish, I chose the poulet chasseur, a pan fried chicken breast in a classic chasseur sauce of red wine, mushrooms and concassé tomatoes, served with a side of roasted new potatoes and vegetables. It was very tasty and the chicken cooked to perfection, with plenty of sauce. 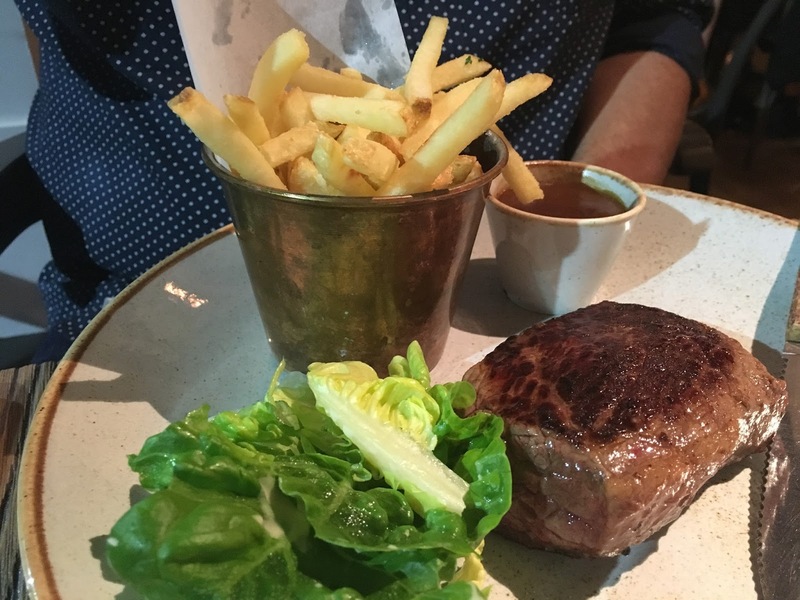 Nick ordered the pavé de steak, which is a rump steak (he had his rare) with a peppercorn sauce and chips and apparently dressed leaves, but sadly they just look like a few lettuce leaves thrown on the plate! In Nick's opinion the steak was average, a little tough and chewy, not the best quality he's had, but I have to be honest with my review. I'm not saying he didn't enjoy it, he certainly ate the whole lot, it just wasn't as good as some others he's had that's all. One thing I have to say is that the portion sizes are quite generous, always a good thing, but having had a starter each and a main we weren't sure if we'd have room for a dessert. But...........we pushed on through and ordered. 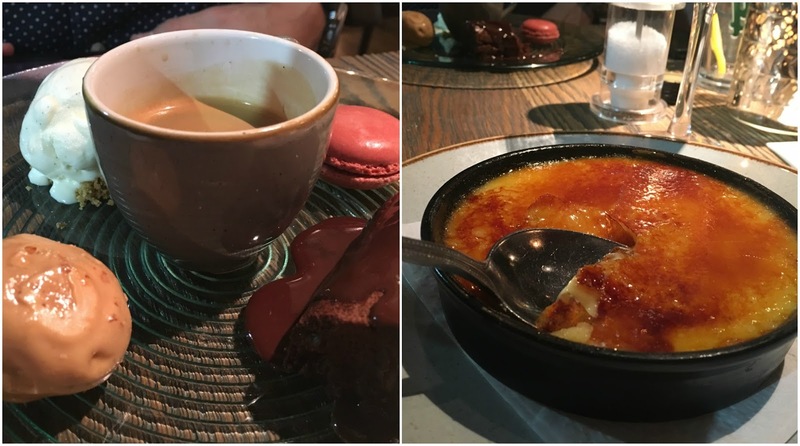 Nick had the café gourmand, which is a selection of desserts with an espresso coffee in the middle, he loves espresso, and I had my all time favourite, crème brûlée, you don't go to Bistrot Pierre and not have the brûlée, well, I don't anyway! I'm not sure how we managed to eat it but we did AND washed it all down with the most delicious bottle of house wine. We went along on a Tuesday evening and even though it was a week night the restaurant was fairly busy. The staff were attentive and the service was good, we didn't feel rushed in any way. 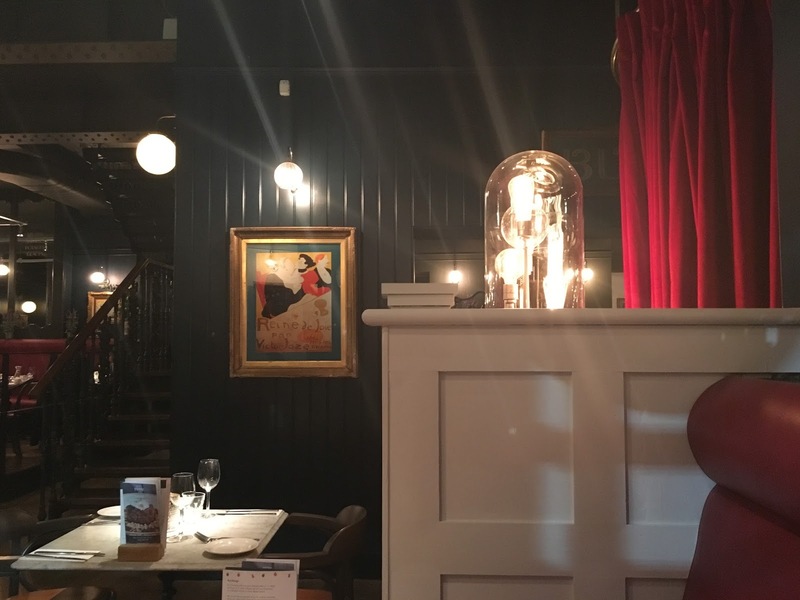 The Leicester restaurant is quite small and intimate with lots of character, giving it an authentic french feel and I think that's why I love it so. I've looked at pictures of the their other restaurants and a lot of them have a real modern feel, especially with the look of the building, but this one, my one, looks as though it belongs right in the centre of Paris! The refurbishment has worked well, not that it wasn't all working very nicely before, a little face lift and new additions to the menu was all that was needed. Bistrot Pierre have many restaurants up and down the UK (click here for locations) and if you have one near you I insist you go pay them a visit, damn, if you have to travel a bit, still go pay them a visit!! Thank you to Bistrot Pierre for inviting me for the purpose of this review and I guarantee it won't be long before I'm back. 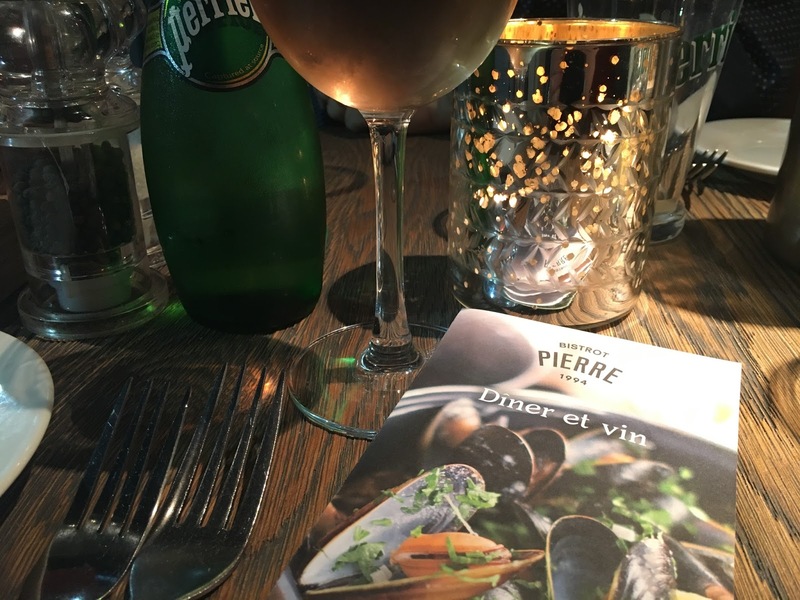 Have you been to Bistrot Pierre? I really enjoyed reading this Stephanie. It’s always very interesting to view your blog. I have never been, perhaps we will pay a visit now. Looks lovely.